Decades of research have shown that family engagement in public education matters. As Henderson and Mapp’s well-known meta-analysis found “when schools, families, and community groups work together to support learning…children tend to do better in school, stay in school longer, and like school more.” But not all involvement or engagement strategies are created equal. In too many instances, the engagement or involvement of families is an afterthought or is laden with the same stereotypes and power imbalances that kept families, communities and schools apart in the first place. The good news is that more and more people are recognizing that for education to change—for all children to thrive and have a full range of opportunities—relationships among schools, families and communities must change. Grassroots models like IDRA’s PTA Comunitario build new relationships among families; amplifying family leadership and voice; mobilizing communities, families and schools around a shared vision for children, an in-depth look at actionable data, and a framework for action; and galvanizing joint efforts to improve public education policy and practice. With a grant from U.S. Department of Education, we have the opportunity to expand on this model and study, document and share how it works. See this edition of Graduation for All in Spanish. Neighborhood Public Schools Belong to their Communities. The idea that parents don’t care about education is a myth. When families are treated with dignity and respect, they become the strongest long-term advocates for a quality public education for all children. An example of this is the PTA Comunitario model, which is grounded in IDRA’s Family Leadership in Education process and decades of experience engaging parents and families in education and partnering with community-based organizations in South Texas working with poor families in distressed colonias. That first cohort of 35 families report that all of their children, mostly children learning English as a second language, who were in high school and scheduled to complete their studies, graduated and those of college age went on to higher education. There are now 75 PTA Comunitario families working with leaders in one school district to monitor the academic success of their children and other neighborhood children. Based on this success, in late 2012, IDRA was selected by the U.S. Department of Education to expand development of the PTA Comunitario model in five communities in Central and South Texas, through the i3 Initiative. The PTA Comunitario process is an innovation for parent organizations and also for school-family-community collaborations. Community-based organizations sponsor and collaborate with schools to establish and maintain PTA Comunitarios. Meetings and activities are conducted primarily in Spanish. Because this approach grew out of work with grassroots community organizations working with the poor English-learning recent immigrant families living in unincorporated and isolated communities (colonias) of south Texas, the meetings must be linguistically appropriate and culturally competent. Meetings include public school educational information and actionable data that leads to projects carried out by the membership. 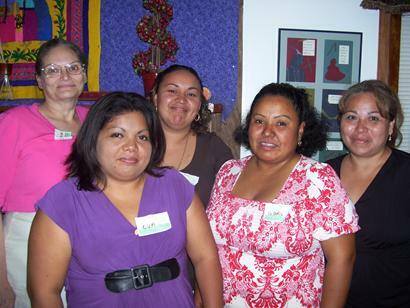 Centered on a promotoras, or peer organizing model, volunteer leaders from the community serve and engage families in education as leaders and for collective action to improve schools. PTA Comunitarios engage and support family leaders in the colonias or other marginalized neighborhoods, not to play auxiliary or fundraising roles in schools, but to examine data on how their own children, and children across the region, are doing and partner with their schools to expand educational opportunity. Connections are established with schools attended by the children of the members although the PTA Comunitario keeps an independent and separate identity. Youth as Technology Bridges – Episode 69. Hector Bojorquez, an IDRA education associate, tells the story of how two youth groups in south Texas overcame obstacles in their distressed communities by providing leadership and technology expertise for parents and community members. The Investing in Innovation Fund (i3) grant kick-off was convened in Pharr, Texas on April 10 to announce the development of community-based PTAs in five communities in the Rio Grande Valley. The event was attended by more than 60 people that included school personnel, PTA Comunitario officers and members, community members and the members of the media.